The Bears poured on the offense on Monday night. 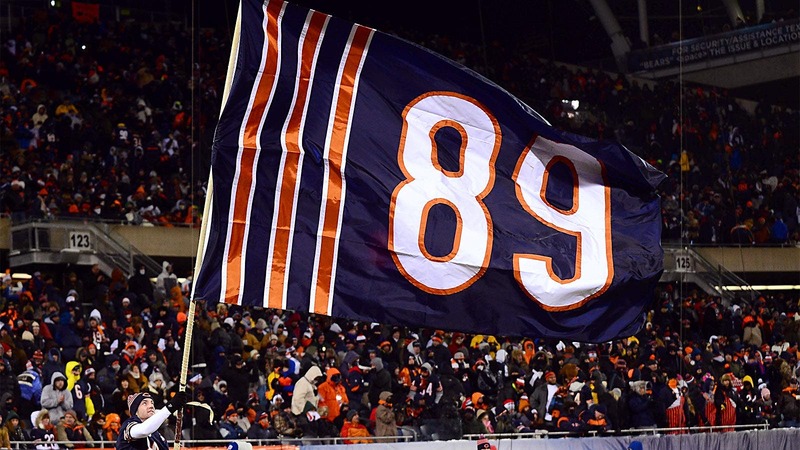 Mike Ditka finally had his number retired by the Bears in frigid conditions on Monday night . . . and it’s about time — he is the only person in the NFL’s modern era to win a championship with the same franchise as both a player and a head coach. And yet, while the honor seems well overdue, the timing also feels like it couldn’t have been more spot-on, as the current-day Bears (7-6) worked their way into a tie for first place in the NFC North with a 45-28 mauling on the Cowboys that wasn’t as close as the final score. Dallas, on the other hand, while also 7-6 fell a game behind Philadelphia in the NFC East while talk of another winter meltdown in Big D is sure to heat up. How so? Well, let’s break it down. The Bears had nine possessions during the game and scored on their first eight (six touchdowns, two field goals), becoming the first team to do so since the Falcons did on Sept. 9 of last year. 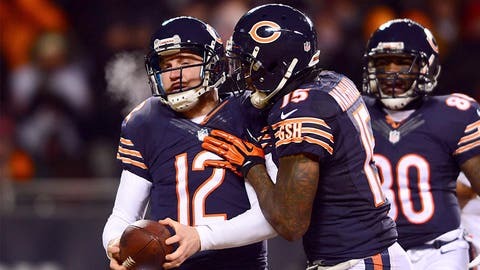 What’s more, the only time Chicago failed to score was on its last possession, a one-play "drive" which featured QB Josh McCown’s kneel down to run out the clock after Dallas scored a garbage time-touchdown with less than 10 seconds remaining in the game. You read that right. Chicago never punted. The Bears ran up 33 first downs and 490 total yards against a Dallas defense that was 10 yards from allowing a fifth team to gain at least 500 yards on them this season, which would have set an NFL record. Through the air or on the ground, Chicago dictated the pace of the game, dominating the time of possession 36:44 to 23:16. In other words, everything went the Bears’ way. So, what’s next for both of these teams? Remember when Bears starting quarterback Jay Cutler went down with an injury in October, and again in November, and everyone started wringing their hands? Seems like a lot more than four weeks ago. That’s likely because we have gotten so familiar with seeing his backup continually make the case that he deserves to be a permanent starter somewhere, maybe even in Chicago. "I’m glad to be a part of it," McCown told FOX Sports’ Mike Garafolo after the game, while also crediting his offensive line, wide receivers and seemingly everyone under the sun. Speaking of McCown’s receivers, Brandon Marshall caught six passes for 100 yards and surpassed the 1,000-yard mark for the seventh consecutive season. He joins teammate Alshon Jeffery in this season’s millennial club. Jeffery caught five passes for 84 yards and a touchdown against Dallas. 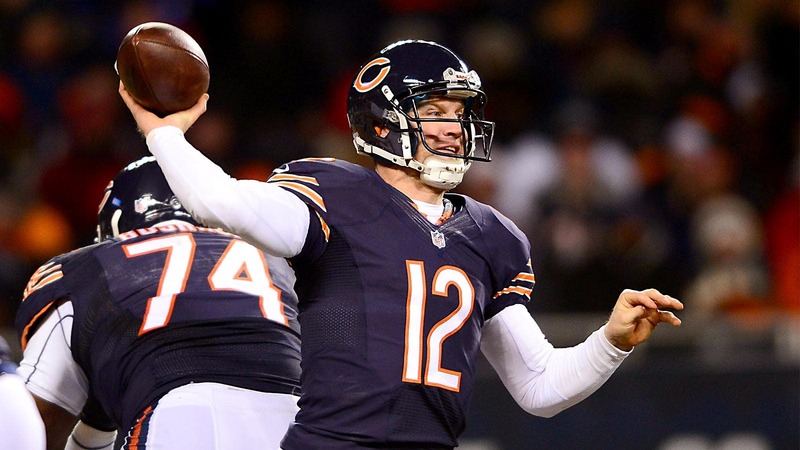 "They make a guy like me look really, really good," McCown said, as he continued minimize his contribution. His teammates think differently. "He’s comfortable out there," Forte said in a television interview. "No game is too big for him." That much is obvious as this game was absolutely huge. The Bears and the Lions have identical 7-6 records atop the division. Chicago needs help to reach the postseason as it dropped both games against Detroit this season. However, the latter does have a tough matchup next Monday night against the defending champion Ravens. If the Lions lose that game and the Bears win out, Chicago will host a playoff game in January. It’s division title or bust. However, despite being a game behind the Eagles in the NFC East, if they win out, the Cowboys will win the division. How, you ask? Simple, Big D closes the regular season at home against Philadelphia and holds the tiebreaker having beaten the Eagles earlier this season. But the Cowboys better have a short memory, because it will be hard to erase the smell of this loss. Things started out well, as they pounded the rock with DeMarco Murray (who finished the game with 146 yards on 18 carries) in the early going. However, their defense’s ineffectiveness started to dictate the offensive decisions they were forced to make the rest of the way. It all fell apart soon. 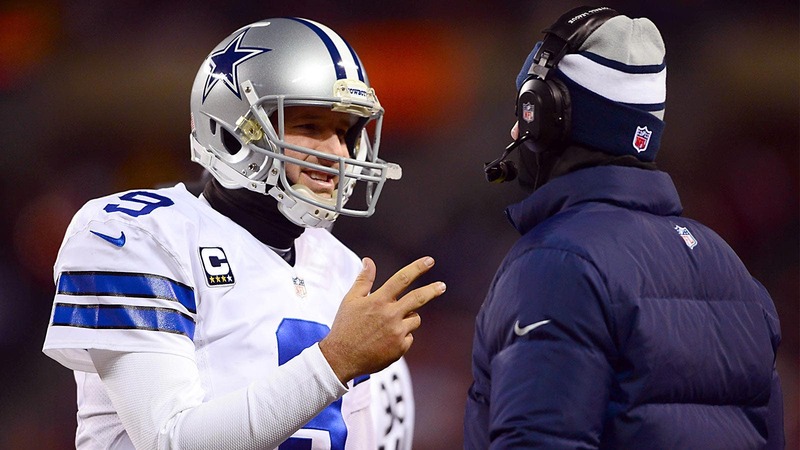 "We got beat pretty soundly and they played well," quarterback Tony Romo said after the game. "It’s not going to be a fun tape to watch." Speaking of Romo, he completed 11 of 20 passes for just 104 yards, but did throw for three scores. Problem is…later…people will look at Tony Romo and point to his record in December if this team misses the postseason…Not just him. The legendary Bears player and head coach braved the freezing temperatures, refused to wear gloves and got out there and accepted his honor from the franchise on Monday night. Congratulations, coach!